The delicate, tactile shape is reminiscent of the strengthening power of the chestnut. Easy to open and close with one hand. Also perfect as for sweeteners, pastilles, mint lozenges. 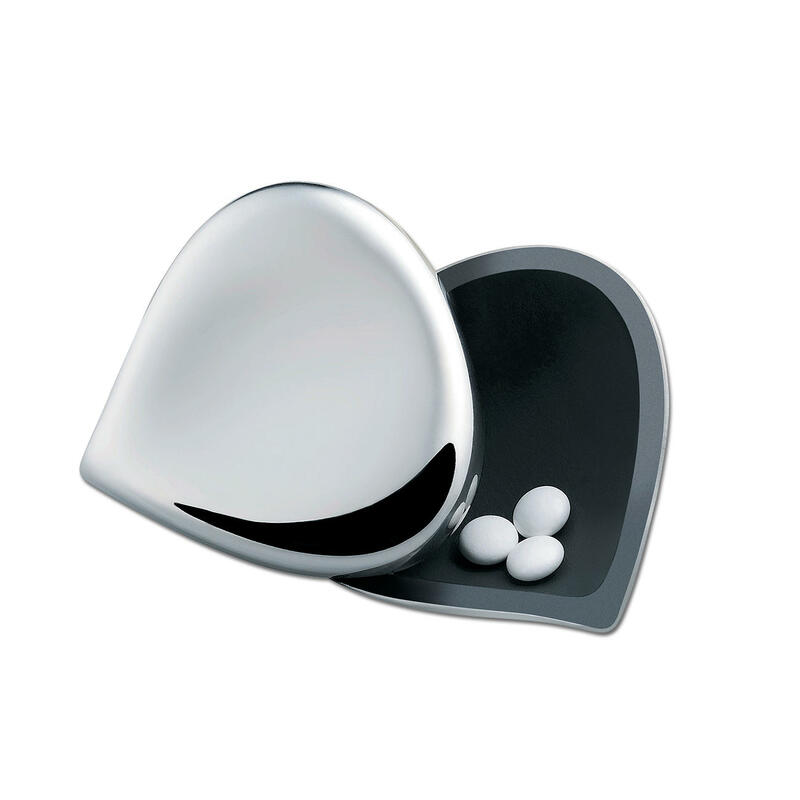 Much too lovely to hide: The Alessi design pill box. Shiny and elegant like a pretty accessory. With easy to use fastener. 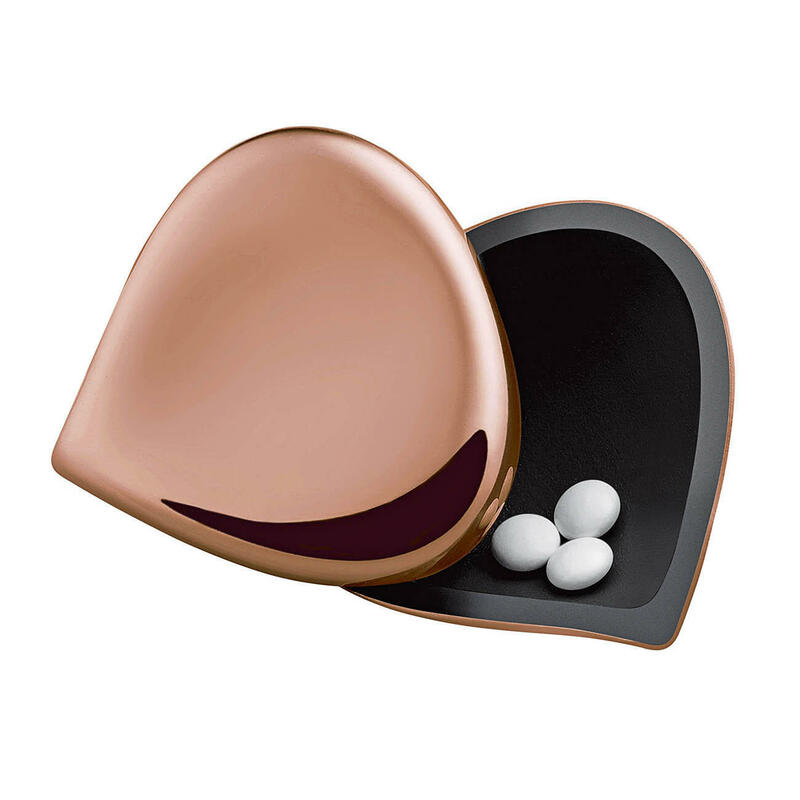 No inferior plastic, no simple metal: Even in luxury restaurants, this pill box is an attractive eye-catcher and always classy. According to ancient Italian popular belief, carrying a horse chestnut should ward off colds. A wonderful metaphor for the hope that you will always be in good health. Thanks to the practical 360° pivot mechanism, the bottom and the domed top can be pivoted wide open and closed again. No worrying that the box could open inadvertently. No annoying fumbling around with stiff catches so your finger nails remain intact. No sudden opening of the box to make the pills fly out, never to be found again. Premium manufacturing with non-corroding 18/10 stainless steel. Thermoplastic resin on the inside in contrasting black makes the pills easily discernible. Size 5 x 5 x 2.5cm (2" x 2" x 1") (L x W x H). Weight 30g (1.1 oz). 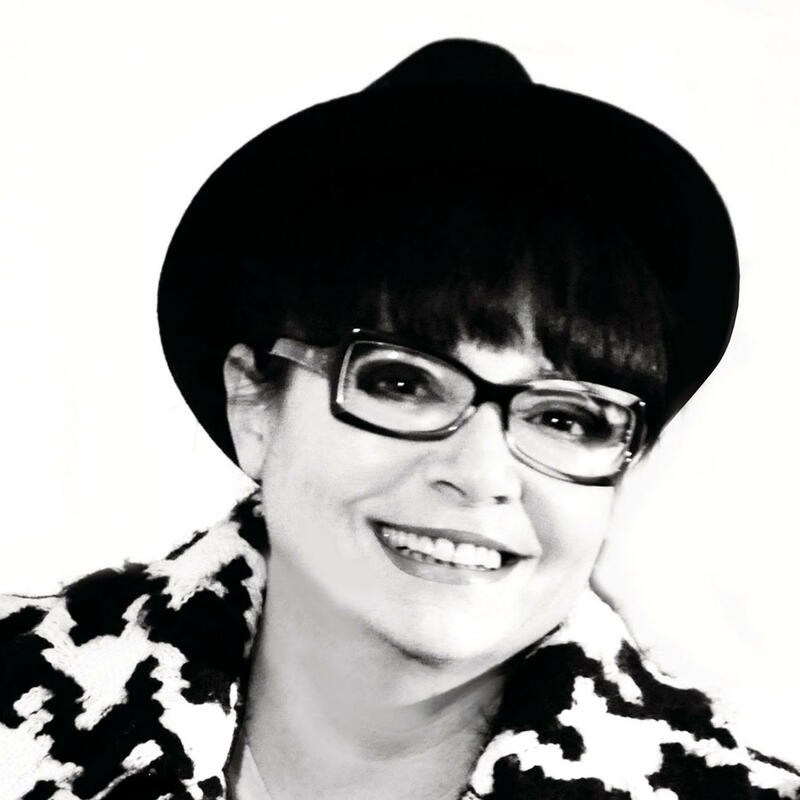 Design: Gabriele Chiave & Lorenza Bozzoli.